BROMSGROVE helped celebrate the Land Rover Premiership Rugby Cup by taking part in an event hosted by Wasps on Sunday. The Land Rover Premiership Rugby Cup, now in its 11th year, has hosted more than 82,000 participating children across the country and only continues to rise in popularity. The tournament provides valuable experience for young players to show off their skills in a professionally-run environment. Last weekend it was Wasps’ turn to host their event this season at Old Leamingtonians, with 32 of teams strutting their stuff across an under-12 and under-11 festival. 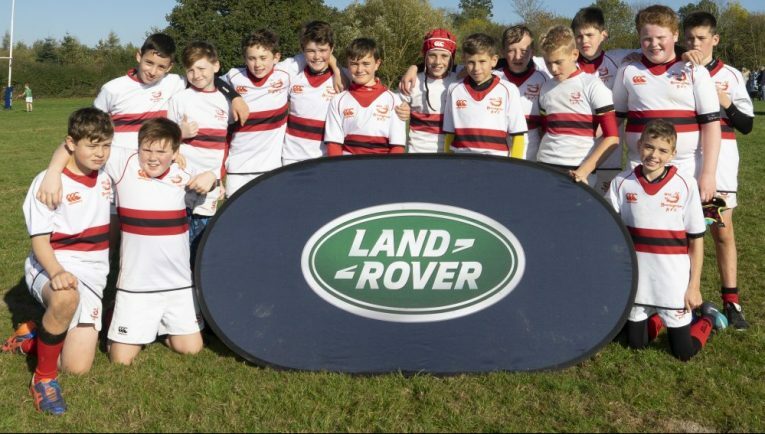 And in the under-12 competition, Bromsgrove demonstrated plenty of effort and skill but fell just short of earning a trip to the Premiership Rugby Final on June 1, where they had the chance to meet a Land Rover ambassador and join in a Land Rover Premiership Cup Parade at half-time. But despite seeing that honour go to Kenilworth, Bromsgrove player and Alvechurch Middle School student Will Hannan was still proud of his side’s performances. The 11-year-old said: “We played really well today and we won our first game and drew our second. “We won our first tournament and came third in our second tournament already this week. “It would have been amazing to go to Twickenham and be there in front of 80,000 people. Players taking part at the festival also had the chance to meet Wasps player Matt Mullan, who took time out of his busy schedule to watch the budding teams in addition to offering some coaching tips between matches. And he was keen to stress the importance of grassroots rugby, commenting: “I missed all this stage in terms of the mini and junior section of a rugby club. “I went to a school aged 10 or 11 and they didn’t play football. I had to play rugby to make some friends. “It’s fantastic to turn up and see so many children across two different age groups turning up. “You can hear the noise and the buzz around the place. “I think it’s great to encourage children to get out there and stay active. Land Rover has heritage in rugby at all levels from grassroots to elite, sharing and understanding the values at the heart of the game. Follow @LandRoverRugby on Twitter.